Dear Readers: Our new issue is finally here. Though we have tested ourselves against the Keatsian principles of silence and slow time these past months, we think it’s worth the wait. The cover art alone (by Port Townsend artist Leslie Cox) is sublime. The issue also features beautiful new poetry-inspired illustrations by Seattle artist Jay Bryant (yes, that Jay Bryant–our former Art Director and still current contributing artist). He’s taken on the challenge of updating Edward Gorey, who appeared in our Spring 1964 issue. More about that on our blog in the weeks ahead. As for the poetry, look for new work by Elizabeth Austen (current Washington State Poet Laureate), Traci Brimhall, Rachel Kessler, Karen An-hwei Lee, Rose McLarney, Kary Wayson … and so many more. We took special care, with this issue, our first since founding editor Carolyn Kizer passed away, to find some of the most compelling women voices writing today. The issue honors Kizer’s vision and legacy in other ways, as well–with the aforementioned visual art and a substantial section of translation, featuring new work by Elisa Biagini, Wendy Guerra, Hester Knibbe, Edoardo Sanguinetti, and Blanca Verela. 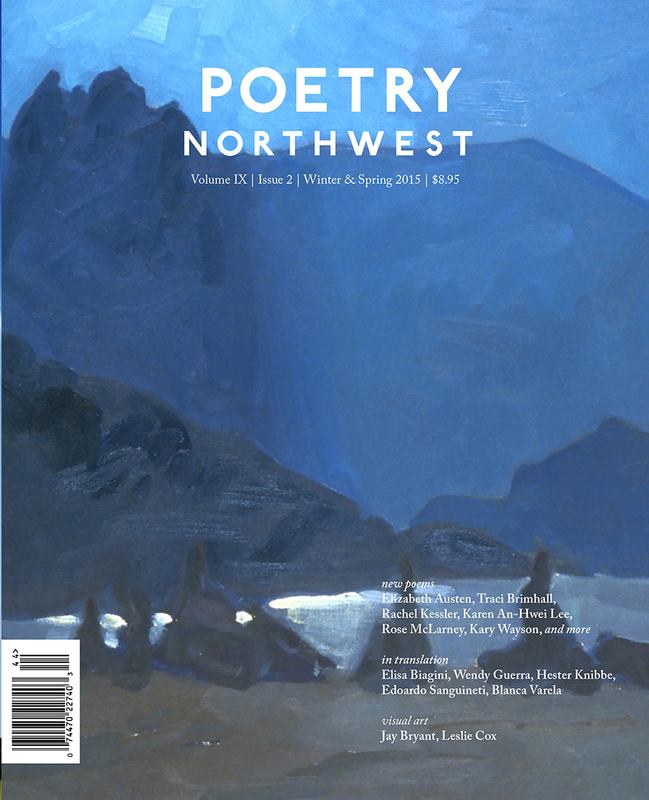 Subscribe today, and take a romp through poetry the Northwest way.